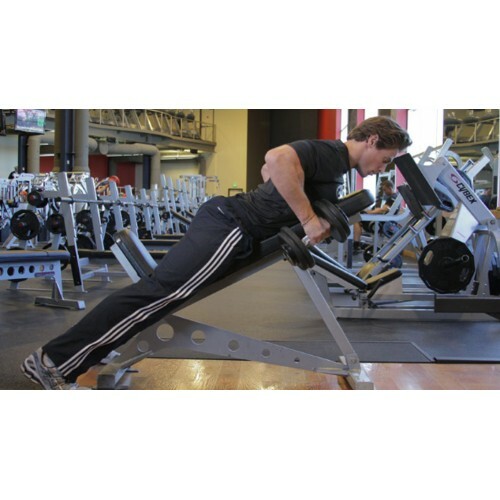 Using a neutral grip, lean into an incline bench. Take a dumbbell in each hand with a neutral grip, beginning with the arms straight. This will be your starting position. Retract the shoulder blades and flex the elbows to row the dumbbells to your side. Pause at the top of the motion, and then return to the starting position.